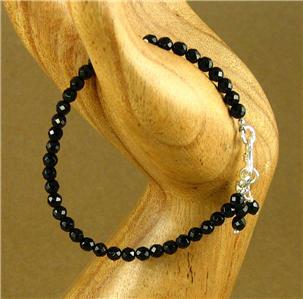 Home › Bracelets › Black onyx and silver bracelet. 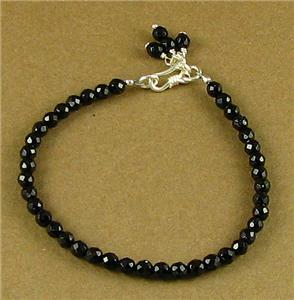 Fine / sterling silver. Designer handmade. 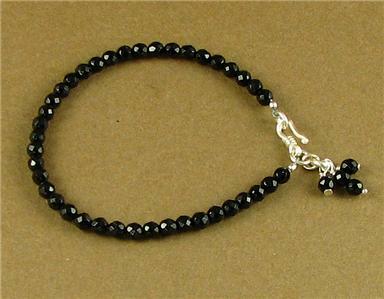 This is a striking black onyx and silver necklace. 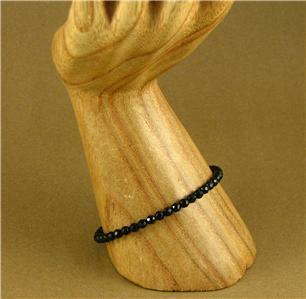 The stones are natural onyx which have been faceted to catch the light. 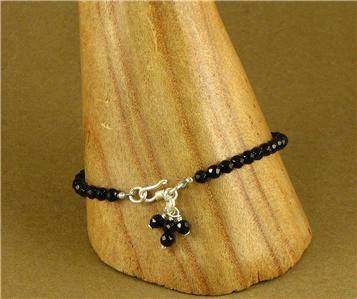 The clasp is extremely pure fine silver (98%.) 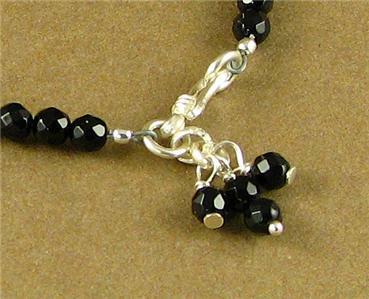 The dangly part is made of sterling silver wire and onyx. 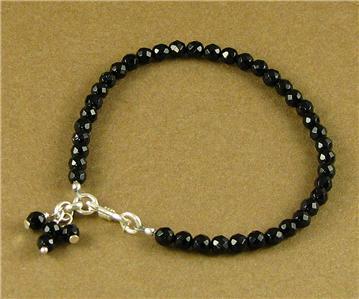 The bracelet is 7.5" long. I can alter the length if needed.